Players from Montreal’s most recent draft class make several appearances in this set of rankings as we reach the top-20. McShane’s first full year with the Generals saw him take on a much bigger role in the attack but he still left something to be desired. He’s a quality playmaker and is a capable defender but there are often times he leaves everyone wanting more. His compete level can vary throughout the game while his skating isn’t the best either. As a result, he’s a player that fell down the rankings relative to the beginning of the year and even midseason. McShane is on a deeper Generals team this season so he will need to find ways to produce despite not getting the top ice time. The early results on that have been mixed. The offensive upside here is certainly intriguing but as far as junior players go, he’s a bit of a project. NHL ETA: 2023-24 – Assuming he signs following next season, McShane likely won’t be looking at a top-six in Laval right away; he’s someone that could make sense to start his pro career in the ECHL as a result. He’s someone that’s going to progress slowly. Last year was a strange one for McNiven. He started off in Brampton of the ECHL to get some extra playing time but after a rough showing early on, he was brought up to Laval and stayed there. 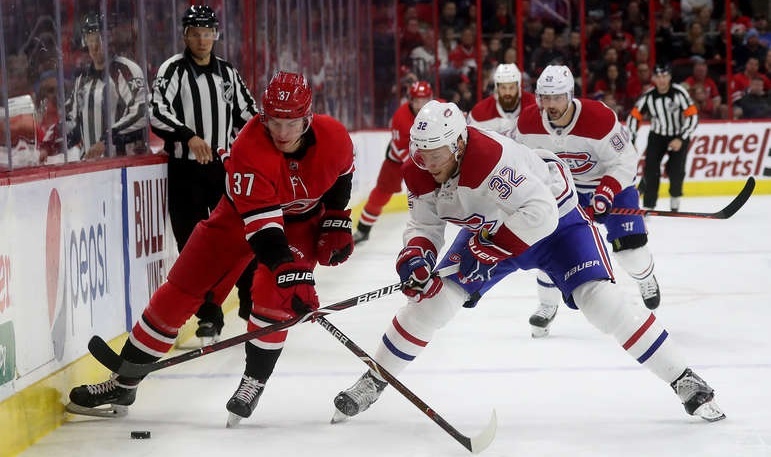 He wound up in a timeshare at times with Charlie Lindgren and Zach Fucale so he didn’t wind up with the playing time anyone would have wanted nor were the results particularly good. McNiven’s appearances were up and down. There was the odd performance where he was at the top of his game but there were a lot of nights where he was shaky and allowed some soft goals. There were bound to be growing pains (especially given the state of Laval’s defence) but this wasn’t a particularly strong rookie season no matter how you frame it which leads to a sizable drop in the rankings. NHL ETA: 2021-22 – Goalies get four years of waiver exemption and with last season basically being a throwaway year, he’s going to need all of them. Playing time is going to be limited behind Charlie Lindgren this season so when McNiven gets his chance, he’s going to need to make the most of it. Just a few years ago, a player like Fonstad would have been overlooked at the draft. He’s small and slender but he has plenty of playmaking skills while he is particularly adept at zone entries which is something that is becoming more and more important. He’s more of a boom or bust type of prospect but in the fifth round, that’s not a bad gamble to make. This season, Fonstad has been shifted to centre and there have been some ups and downs early on as he makes that transition. Accordingly, it wouldn’t be surprising if his overall offensive numbers don’t go up too much. 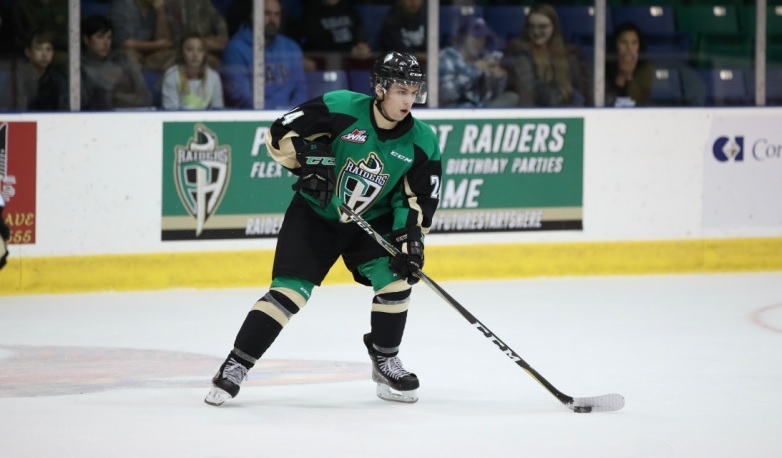 On the flip side, the Raiders are the class of the CHL early on so Fonstad could be in for a lengthy postseason run which would certainly help his development. NHL ETA: 2023-24 – Like McShane, Fonstad is more of a long-term project if he does well enough to make the jump. If he turns pro and grabs a hold of a top-six spot early, then this could jump a year but for the time being, it’s fair to expect he’ll need three full seasons in the minors. Hillis is a bit of a rarer case in that his rookie junior season was his draft year; his post-OHL draft campaign was spent at St. Andrew’s College. As a result, he’s a little underdeveloped relative to his peers from this draft class. He started off slow but improved as the year went along which helped get him on Montreal’s radar. While this led to some heightened hopes that he’d pick up and continue to build from where he left off, that hasn’t exactly been the case as he struggled out of the gate. Hillis has fared better as of late and his motor should help him avoid any prolonged slumps. However, it will be important to remember that he’s basically a year behind in his development when assessing his progress. 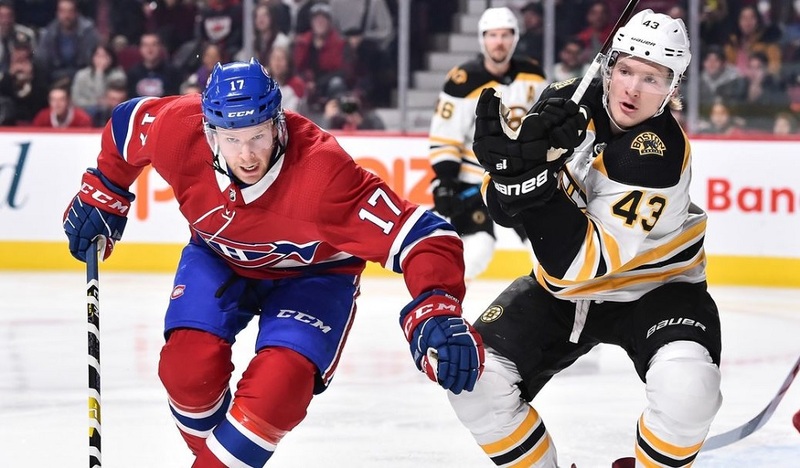 NHL ETA: 2023-24 – I think Hillis’s style of play could get him a look with Montreal before his entry-level contract (if he gets one) would expire as he’s the type of player that could be slotted in a few different roles depending on the situation. However, like the other picks in this bunch from the 2018 draft class, this pick won’t be paying early dividends. Vejdemo is a player I’ve flip-flopped on a few times since they picked him three years ago. I think he has NHL upside but it’s also fair to question what his actual ceiling is. He is a capable checking centre but offence wasn’t his calling card in Sweden and probably won’t be in North America either. As a result, his upside is more limited but on the flip side, the odds of him reaching that are higher than some others in this group. The 22-year-old is now in his first season in North America and he is slowly being integrated into Laval’s lineup. He was in a limited role to start the season but has earned a little more ice time as of late and has made the most of it. He’s not in the mix for a recall now but he could get on the radar later in the year. NHL ETA: 2020-21 – I could see Vejdemo getting a look before then but a more realistic timeframe is him working his way towards a top-six role this season and then pushing for a top-six spot with the Rocket next year with the hopes of turning that into an NHL roster spot the following year. If the Habs decide they want a penalty killing fourth line centre between now and then though, he’ll get recall consideration before then.